○The 60-day intensive gel face mask for home-treatment gives elasticity and moisture to the skin. ○Three types of highly concentrated sugars improve the inherent workings of the skin,smoothing out and refininf the skin. ○Promotes skin metabolism and adjusts imbalances of the skin’s physiology. ○One whole bottle is used for one treatment,which always allows them to be used in a fresh condition, and they do not require refrigeration. ○Does not contain any preservatives. -The full effect of the mask can be experienced by treating the face for 60 consecutive days. -After cleansing and washind the face,spread to the face,neck nad parts that need attention(they have no preservatives). -Leave it on the face or cover the face with a cling film for 15 minutes,wipe off with a damp towel or rinse away with lukewarm water(it can be left on for more than 15 minutes if used while bathing). ○An enzyme pack that removes excess keratin and cleanses away dirt in pores. ○By combining proteolytic enzyme and collagen,enzyme activity is enhanced and usability is also improved. ○Comes in indivvidual packets to give a fresh enzyme effect every time you use it. 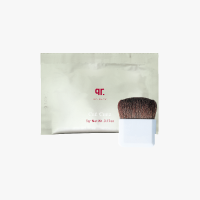 ○The attached brush is made of soft-feeling quality horse hair and it is also sized with convenience in mind. -Use once to twice a week after cleansing and washin the face (wipe off moisture after washing9. -Have a container ready for mixing the contents of the packet,pour in the contents and mix by adding water gradually untill it becomes soft (consistency similar to pancake batter). -Using the attached brush,apply the mixture concentrating on parts with thickened keratin or the T-zone,avoiding the area around the mouth and eyes. -When the pack dries after 10 to 15 minutes,rinse away with lukewarm water. -Condition the skin with Carely Ex or Medicated White C Essence afterwards. Copyright © CRE CHEZ All Rights Reserved.